I am owner of my ideas, thoughts, dreams and goals. It’s up to me and me alone how those ideas, thoughts, dreams and goals morph from mental impressions to physical activity. It is entirely within my purview how and when that happens. People surround me daily. They appear in person and on media of every sort. Their opinions and critiques flood me with information about every possible subject, from every possible perspective. Some I seek so as to be informed. Much I ignore for my own wellness’s sake. Often I find I could have ignored more. The aggregate, however, of what I choose to believe – the raisin of truth in the quinoa of rhetoric – is entirely of my own deciding. No one forces me to believe this or that against my will. What I believe and how I choose to celebrate and live out my personal walk of faith is up to me. Since individuals who believe alike tend to gather in collegial agreement and social oneness, I routinely gather with others who share my beliefs and manner of living them out. It follows I do not gather with those whose beliefs and manner of living do not align with mine. This does not indicate rancor toward them. It means we are different and think differently. Orangutans and octopuses. 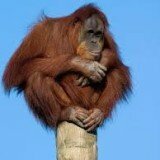 Orangutans have only two legs, two ridiculously-long arms and cannot long survive underwater. Octopuses don’t breathe open air, cannot climb trees, have way too many legs and sport parrot-like beaks. We need to enact laws to give orangutans rights to dive underwater and grab onto big rocks so they can be like octopuses. After all, they’re created more with four hands than two-and-two, right? And they can shave off all that apey hair. The breathing thing. Right. 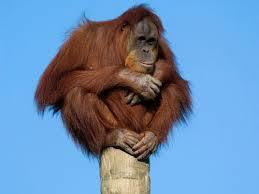 More laws developing and providing breathing systems “at no cost” to every orangutan desiring to be like an octopus. They deserve special rights. 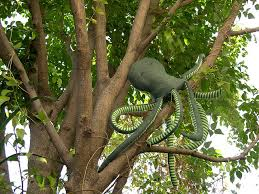 Special rights also ought to accrue to octopuses who are closet pongos who really want to climb trees, get most of their water from what is caught by treetop leaves, and learn to like mangos and bananas. You got it. The only group consistently trying to force it’s way by legal means if necessary and always by obnoxious, invasive activism into every other group is one that knows it’s claim is specious; and the efforts of which are always intending to cause trouble for those it intentionally targets. Yeah–like forcing orangutans to go to silly, resource-exhausting ends to accommodate activist octopuses who do not speak for many of the world’s leading cephalopod molluscs. 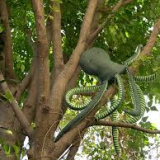 The people and governors of Arkansas and Indiana, along with 19 other states plus the federal government (1993) have all said, in essence, they’re fed up with octopuses demanding extra rights to climb trees and snarf mangos. Yes. Of course that’s a laughably simplistic example. The point, however, stands. The only possible explanation for why any group needs more and special laws to force their will on others is that they’re not getting their way in any other manner. Octopuses don’t need extra laws enacted to let them ape orangutans. All they need to do is hit the beach, climb a tree and elbow – wait . . . adhere? – their way in between the apes. If the apes don’t like it and say, “Noop” to the Cephies, that’s pretty much that. They attempted to assert their right to live as orangutans do and it didn’t work out so well. Please: don’t waste everyone’s time detailing a tongue-in-cheek fabricated study by Dr. Donald Leu, a former teacher and “national authority on integrating technology into instruction.” Leu’s study highlighted fallacious reports on the fate of the “tree octopus” — an allegedly endangered species roaming the treetops of the Pacific Northwest. The intent was to highlight the alarming trend of America’s kids to be reason-disabled because of the Internet. I’m thinking the apes would meet with the same disappointment if they took a big breath, dove down to Big Rock OctoLand and tried to get grabby with the way of life claimed by Cephie and her clan. Both already had the right to the attempt, just as we all have the right to life, liberty and the pursuit of happiness. No one – no one – guarantees them. They are there to be sought and won. When a few try to force their demands upon others and the others take umbrage and fight back, everyone is exercising their rights. Any society allowing the few to always get their way is not a free one. I am the friend of, and hold love for, all who allow it, regardless of beliefs or practices. I applaud those hardy Americans, free men and women all, who are standing tall in support of Constitutionally-mandated freedoms and inalienable rights as originally drafted by our Founders, while standing against demands for special, extra protections that give the demanding guarantees no other Americans have or need. I do not agree with those trying to force their way of thinking, believing or living on anyone else. That is infringing on the most basic right – absolutely God-given – that I have: being self-responsible. You see, it really IS on me. By the way, read today’s opening paragraphs in first person singular. Yours is definitely as ‘on you’ as mine is ‘on me’.